I have just finished watching the first season finale of Wentworth and I have chills running through my body. What a triumphant ending to an outstanding new series. Danielle Cormack needs to be congratulated for her stunning performance as Bea Smith. The growth and transformation we have seen in Bea during the first season of Wentworth is extraordinary. She has made some bad choices but every action she makes stems from her love and commitment to her daughter Debbie. Debbie’s death leaves Bea with no-one on the outside to protect and she is therefore, for the first time, able to live by her own moral compass without allowing herself to be influenced by others. I believe that it is this inner strength which compels her to stand up to her husband and let him know that she is finally going to tell the truth about their relationship. It is a cruel twist that doing so may have resulted in her acquittal but that it is now of little consequence as she has killed a fellow inmate. There were so many twists and turns in the finale which all played out beautifully. Poor, poor Vera. She is one of those sweet characters who seem forever doomed and you know that as soon as life is looking up for her, something dreadfully horrible is about to happen. I must admit that I thought she was going to find the bracelet. And what about the bracelet? It was the most significant piece of jewellery in the whole season. After it was found in Jacs’ face cream I let myself relax for a second thinking that it all made sense – but of course it didn’t. When Liz reveals to Frankie what she saw, what she did and why she did it, you can almost feel the winds of change in motion. Frankie’s strategic prowess with prison yard politics is also her folly as she sometimes doesn’t see what is happening right in front of her. This is why the more insightful Liz sees in Bea what Frankie refuses to; a natural leader who others will follow not because of fear but out of respect. It is only in the last scene that Frankie seems to finally comprehend how powerful on the inside Bea actually is. Bea isn’t one to ask for allies, and she doesn’t have to; they come to her. Maybe Frankie’s relationship with the Governor will come in handy although that too seems unpredictable. I am interested in seeing how the relationship between Frankie and Erica develops in season two as now there is more than just words and flirtation in play. 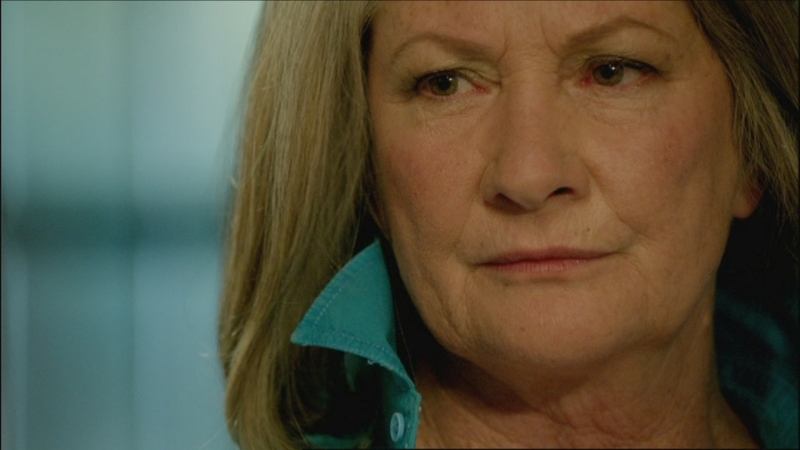 Unlike the shock of Meg Jackson’s killing in the first episode Jacs Holt’s demise was almost expected. Jacs’ desperate, callous attempt to manipulate Will and her diminishing influence over Vera only demonstrated just how isolated she had become. Jacs’ time was over and I believe she was contemplating this before Bea appeared in her cell. Kris McQuade and Danielle Cormack’s last scene together was enthralling with Jacs baiting Bea until Bea inevitably snaps. It was a sobering moment watching Bea walk trance like to the distress button and press it with her bloody hand. An action she was warned by Liz never to do. Season one of Wentworth has been a significant achievement and a huge success. I cannot wait for season two to grace our screens and to see how the new world order plays out. Will the truth about Meg’s killer ever be revealed publicly or will it be buried with Jacs’ death? Is Bea the new reluctant top dog and how will Frankie cope? Will Will ever find out about the affair between Matt and Meg? All this may or may not be revealed and this is the allure of Wentworth – it takes you on a ride of drama, suspense and surprises. Are you a fan of Wentworth? If you are already having withdrawls you will be happy to hear that you can pre-order season one through EZYDVD for Aussies and Amazon UK for UK viewers. Do you have any predictions for season two? Sorry Karen, I won’t be uploading to youtube. I have added in links to the bottom of my post of where you can buy season one. It gets released in November.